I just got my latest SU club order which included some linen thread...can't believe I haven't ever ordered any...I love it!! 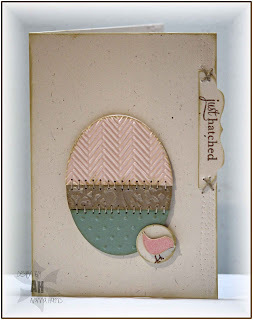 The latest Embellish Magazine Challenge is to use stitching and some springy colours. 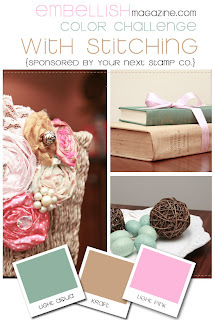 A colleague of mine & his wife just had their first baby, a girl, last week...these colours are perfect for a baby card! My base is 5" x 3.5", with some faux stitching along the right edge (made with a tracing wheel a la Anna Wight). I cut out the egg shape in the three colours using my oval nesties. I also cut a base layer to adhere the colours to once I trimmed them. 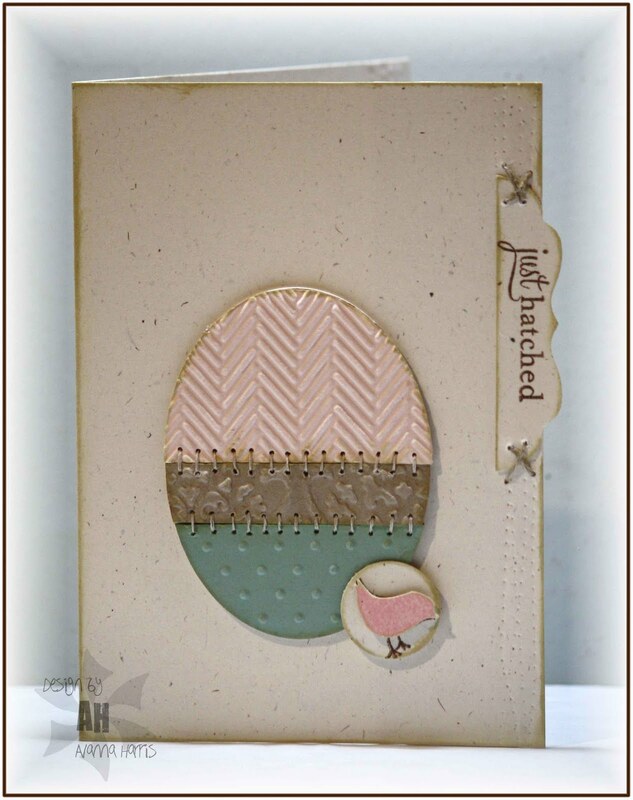 I decided to add different textures to the pieces using various cuttlebug embossing folders. I tied the pieces together by distressing the edges and stitching them together. I am still waiting for my sewing machine to get serviced, so the stiches were all hand done. It helps to pierce the paper first, especially when going through a few layers of paper. 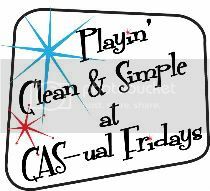 Very cute--love the CAS design!! Wow, this is simply perfect! Love it! So glad you could join us in the Embellish challenge! This is so neat! Love it! Thanks for taking on an Embellish challenge!